New Kitchen cabinets w/ solid slab countertops & stainless steel appliances. Beautiful wood floor in kitchen w/ French doors to upper deck. New flooring, fixtures & paint throughout. Gorgeous hardwood floors & new carpet. French doors lead to deck overlooking huge, super private back yard. Thousands spent on landscaping to make the majority of the 1/3 acre yard beautiful & usable. 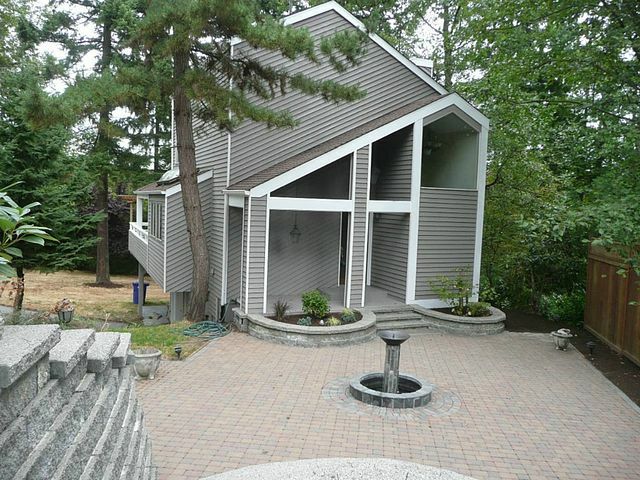 Fantastic Canyon Park location close to all amenities, Eastside & Seattle. Award winning Northshore schools.